﻿ Selection of Conference Microphones - Guangzhou DSPPA Audio Co., Ltd.
Because different microphones have different effects on different sound sources, it is necessary to have a thorough understanding of the technical characteristics, functions and applicable occasions of microphones before selecting conference microphones. In the selection of microphone, besides the sensitivity of microphone, the matching of output impedance and input impedance of mixer, the directional characteristics, frequency response characteristics and the shape of microphone should also be considered in the conference room. As far as directivity is concerned, super-heart shape is suitable for picking up sound at a relatively long interval, heart shape is suitable for most situations, and non-directional microphone is not suitable for speech pickup, because simple will lead to echoes. 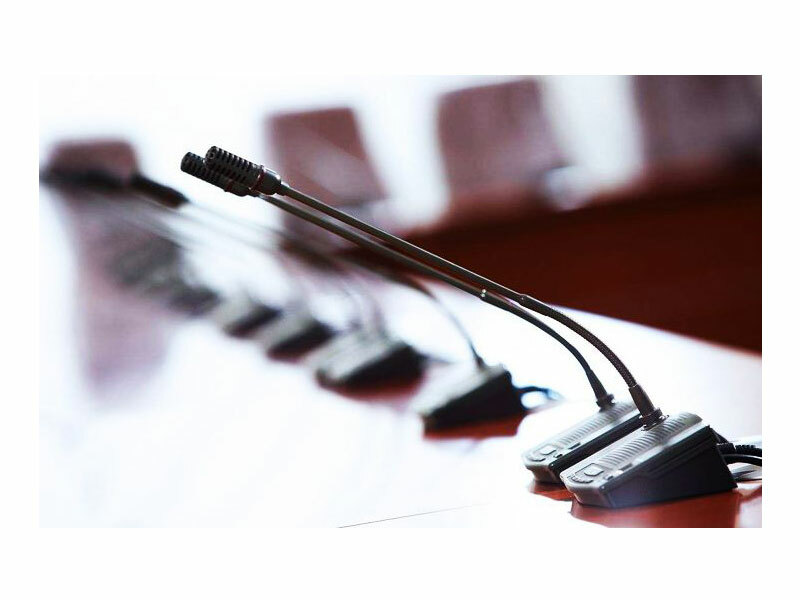 In addition, in the conference room, according to the planning of the speaker to select the conference microphone with appropriate pointing characteristics. For centralized or semi-centralized sound amplification systems, the directional characteristics of microphones should be heart-shaped or super-heart-shaped. A heart-shaped microphone is usually selected for the planned sound amplification system. If the microphone is far from the sound amplifier and the reverberation time in the hall is not too long, the directionless microphone can also be selected. When the sound source is very close to the microphone, the proximity heart-shaped microphone can be eliminated by using the skill index. As far as the frequency response characteristics of microphones are concerned, microphones with low static skill objectives and good transient characteristics are better than microphones with slightly higher static skill objectives and poor transient characteristics. From low to high frequencies, a smooth microphone with uniform response characteristics is better than a remarkable one in a certain frequency band, because some of the remarkable ones can also lead to screaming. In addition, blunt voices are often exacerbated by microphone proximity. Of course, it can be compensated by electronic proofreading (in the sound transmission circuit). This has no effect on the low-frequency voice, but has restrictions on the movement of the speaker and the microphone. The interval between the speaker and the microphone must be stable, otherwise the low-frequency components will change. The ratio between direct and reverberation (in a "lively" sound field of sound condition) also changes. A large number of microphones with peak presentations between 6000 and 9000 Hz will make the hissing accent heavier. Of course, it can also be proofread electronically, but it has to pay for the dead-end value at the peak. As a result, there is usually no need to use a high-quality microphone in a conference room, just a slippery microphone. As far as the internal structure of microphone is concerned, moving coil microphone is usually used in conference room sound reinforcement. Over the years, with the enlargement and widening of conference tables, capacitive goosenneck microphones are now mostly chosen. In this way, when the conference table is relatively wide, it will not be pushed to the table by the speaker and no sound can be picked up. In addition, microphones with capacitive microphones are less popular, so that they do not cover the speaker's face is also one of the reasons for being selected. 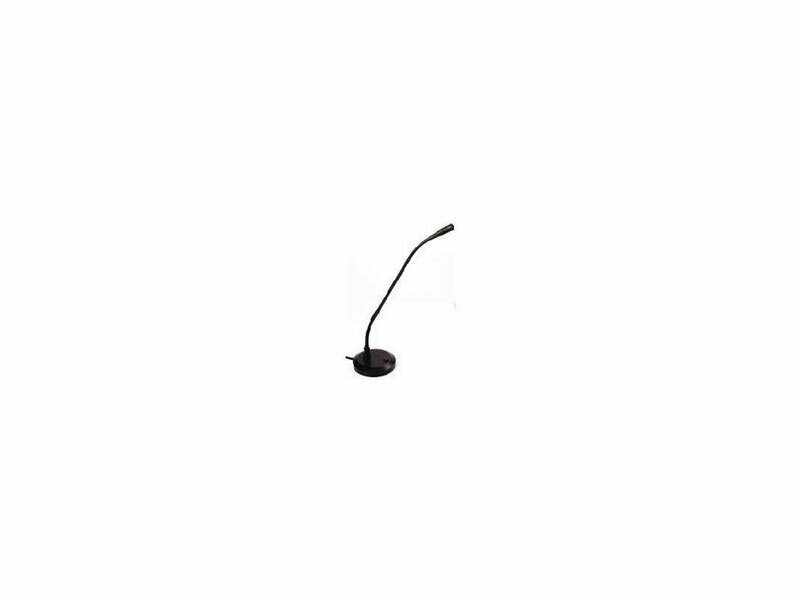 In summary, besides special requirements, conference rooms usually recommend capacitive goosenneck-shaped conference microphones with wide frequency response, uniform frequency response transmission characteristics, smooth, and low distortion.